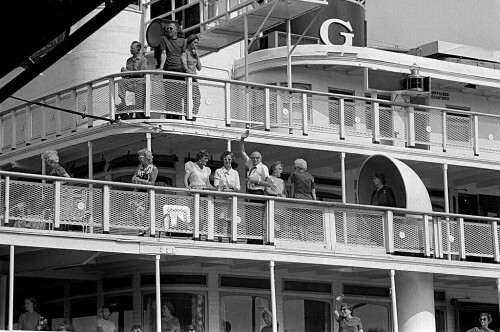 I was scanning photos of the visit of the Delta Queen steamboat to Cairo, Ill., in 1968 for my other blog when I spotted this bike. 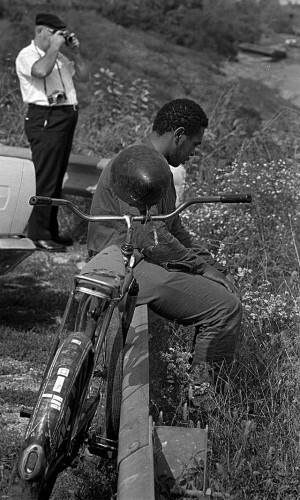 I thought he had a bowling ball attached to the handlebars. When I blew it up, I could see wires hanging from it. It was the world’s biggest bike headlight. I’d love to know what he used to power it. 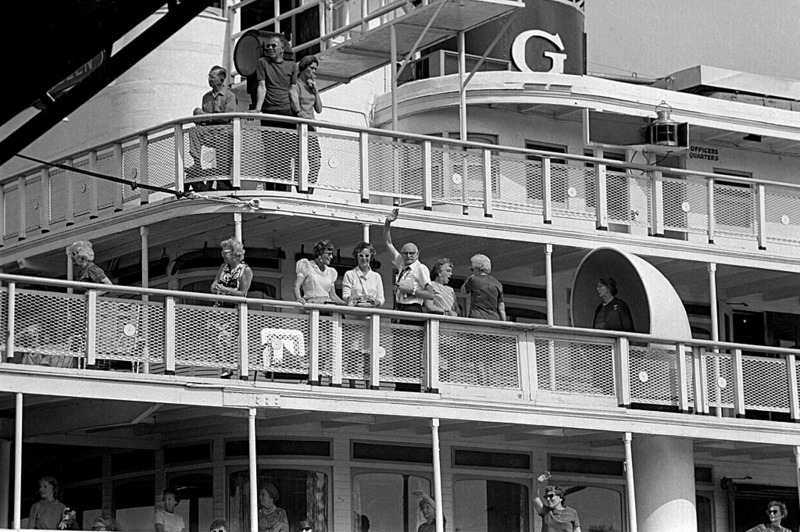 Go here to see vintage photos of the Delta Queen before she was turned into a floating boutique hotel in Chattanooga. 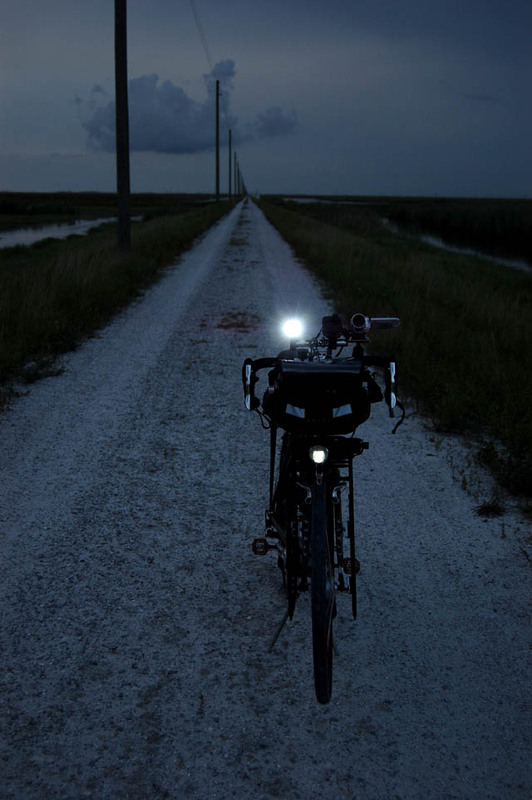 Here’s a year-end review of cycle lighting I did at the end of 2009. That IS a big light. As both a motorist and cyclist, you can’t have too many lights on a bike (Yeah, I only have 2). Safety aside, I’ve noticed lots of little crime stories in the paper in which cops stopped cyclists for not having lights and then found crack pipes or pot on them. To use my brother’s phrase, “You’re nothing but a barnyard braggart” if you have a light that big. I wonder how many MPH I’d have to pedal to power that with my SON generator hub?